Five things to see and do at Machu Picchu besides Machu Picchu! 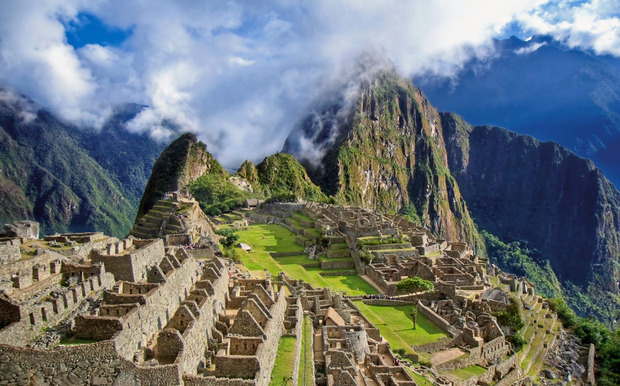 Machu Picchu is a dream destination, but there's a lot more to it than the archaeological site itself says Nicola Connolly. Surprisingly, most visitors spend an average of just two to three hours in Machu Picchu and the rest of their time travelling to get there. My advice is to take it slow, spend at least two nights in the town of Aguas Calientes and get off the well-trodden tourist trail. Exploring some of Machu Picchu’s lesser-known attractions will give you a real feel for this stunning corner of Peru. Tucked away at the base of the mountain that leads to Machu Picchu, this small museum provides a nice insight into the theories as to how and why Machu Picchu was built. Artifacts include the 1911 National Geographic Magazine special edition by Hiram Bingham that first introduced Machu Picchu to the world, and the museum gardens house a lovely collection of orchids from the Machu Picchu sanctuary. How to get there: The museum is a 30 minute walk from the pedestrian town of Aguas Calientes. Follow the same road as the buses heading up to Machu Picchu. When you cross the bridge, the museum is on the right hand side. This is a ramshackle structure, but a good stop for the kids. 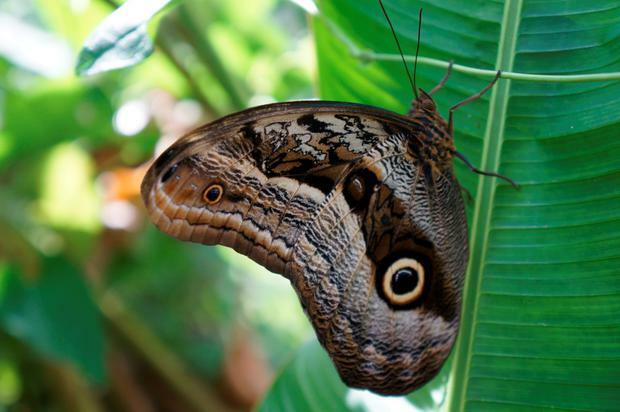 The farm houses a basic but interesting collection of live butterflies and shows the different stages of their life-cycle from larvae to butterfly. Set up by Machu Picchu local Leonardo Gutierrez, the farm is run by volunteers and aims to protect the eight species of butterfly found at the UNESCO World Heritage Site. 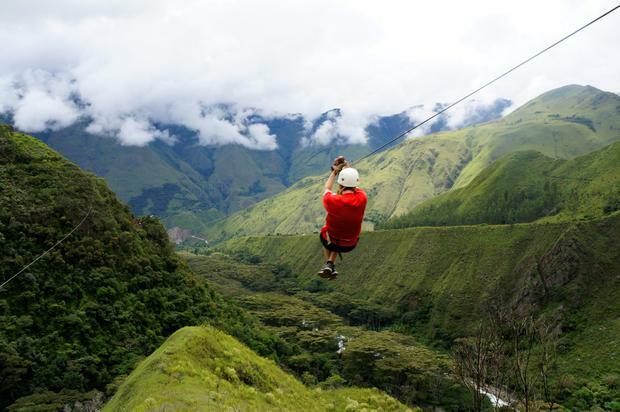 How to get there: The farm is a 25 minute walk from the town of Aguas Calientes. Follow the same road as the buses heading up to Machu Picchu. The farm is located on the right hand side before you arrive at the bridge. A gentle, 40-minute stroll from Aguas Calientes leads you to this little oasis. Wander along a trail through the tropical rainforest, picnic or take a dip in the refreshing waterfall and cool off from Machu Picchu’s sticky climate. Looking for your daily dose of adrenaline? Head to Cola de Mono in Santa Teresa for a terror-inducing canopy adventure where you fly across 150m high ravines strapped to a metal wire… Stunning views ensure you keep your eyes open but be warned, this is not for the faint-hearted! How to get there: Catch the Peru Rail train from Aguas Calientes to the Hidroelectrica station (Approx. US$30 return) and get a taxi from the station to Cola de Mono. Forget the overcrowded baths in Aguas Calientes and instead take a day trip to the nearby town of Santa Teresa to bathe in pools of crystal-clear thermal water. Each of these natural pools is a different temperature, so a visit is ideal for soothing sore muscles after all that hiking - plus the location is stunning next to the roaring Vilcanota River. The hot springs are open 24/7 - if you like stargazing, head for a stunning night-time experience; otherwise mornings are best. How to get there: Catch the Peru Rail train from Aguas Calientes to Hidroelectrica (€28 approx.) and get a shared taxi from three to the hot pools. Nicola Connolly fell in love with the Andes of Peru almost five years ago. Find more of her recommendations on travel website bestofperutravel.com. Mauritius: Is this the Indian Ocean's hottest holiday island? Katy McGuinness Whatever your reasons for visiting New York, you should make the most of the incredible opportunities for eating dishes from its diverse range of cuisines. Damon Smith Sitting on the veranda of a semi-detached log cabin managed by members of the indigenous Truku tribe, I close my eyes and draw breath. Nicola Brady I'm slumped on the side of the road, surrounded by rolling vineyards. "Does it ever get lonely travelling by yourself?" Can human beings and animals live happily ever after on the Galapagos?